As more municipalities adopt food scrap and organic waste diversion programs the need for ASTM D6400 compliant, BPI Certified Compostable Bags continues to grow. If you are looking for an affordable solution to the “yuk factor” that comes with collecting food scraps and organics at home. EcoSafe® ASTM D6400 compliant Retail Compostable Bags are the answer. 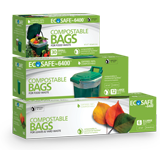 The EcoSafe~6400® line of Retail Compostable Bags come in a variety of sizes to meet all your needs. Our products offer superior value for price, performance and sustainability. EcoSafe® Retail Compostable Bags are manufactured in the USA with US made resins. Approved for use in NYC Organics Collection! Anti-Zippering: Once punctured or stretched most Compostable Bags tear or zipper very easily. Not EcoSafe~6400® Compostable Bags, stretch our Compostable Bag and see for yourself. We offer better strength and performance with thinner bags saving you money. Heat & Moisture Resistance: Why put a bag in your bin to keep it clean if the bag leaks or allows moisture to seep into the bin? 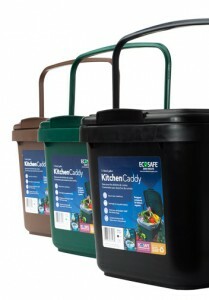 EcoSafe~6400® Compostable Bags create a moisture barrier in your bin even with boiling hot coffee grounds. Our bags will not leak or fall apart in your bin. Strength & Integrity: Every EcoSafe~6400® Bag we make has star-seal bottom that is guaranteed not leak or fail. All of our Retail Compostable Bags are built tough and are guaranteed to hold a minimum of 50lbs. Compostability: EcoSafe®~6400 Compostable Bags are BPI Certified to comply with ASTM D6400 specifications for safety and compostability in modern short term composting systems. The are are also approved for use by Cedar Grove Compost. Our BPI certified EcoSafe~6400® Retail Compostable Bags are tested and approved for use by composters across North America and in many municipal food waste collection programs. Check local regulations. 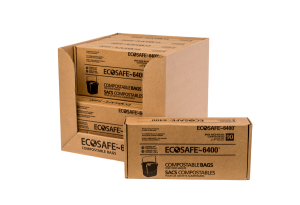 EcoSafe-6400® Retail Compostable Bags are designed for use in commercial compost facilities where they completely degrade in 10 – 45 days. 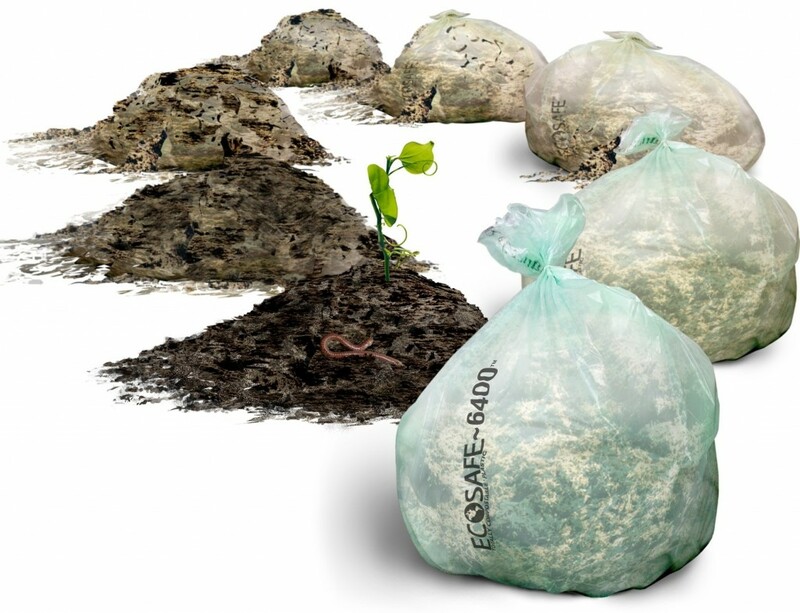 EcoSafe-6400® Compostable Bags are not recommended for backyard compost systems which do not always operate at the temperature and moisture levels found in a commercial compost facility. EcoSafe® Retail Compostable Bags make diversion easy. Contact us to learn more!